He was born in Liaoning, China. A part-time teacher at Networking and Multimedia Course, in Kanto Gakuin University College of Science and Engineering. His father’s family is from Manchuria and his mother is Japanese. 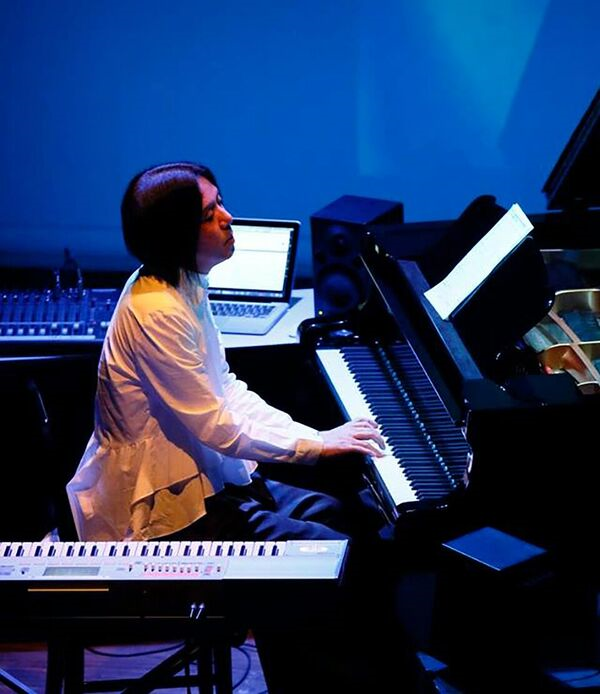 Since he come to Japan, he has expressed the worlds of music, art, and film through an integration of his individual imagination and varied techniques. He has integrated the various elements of his novel works. He issued music CD “Warterland” (‘97), “Time Travel” (’00), “DRAGON” (’00). And also issued “TOMPA”（’03〜‘07）3 series which theme is Nashi, an ethnic group in China. Released many CDs such as “nentou” （’11）, the suite of the prayer for Great East Japan earthquake, “Mount Fuji Festival –Mount Fuji Suite—”（‘14）, and “Transformation”（’15）was sold in China. Released many other CDs such as “CHINKON Suite”（‘16）、“CHINKON Suite 2 East Asia”（’17）. He directed many films such as “Deep Unconscious” （’06）, “Waterside Shaoxing”（’10）, “OKUDO OF FLOWERS”（’13）, “Lost Manchuria Shamans”（’16）.